The ESCUELA LEAN KATA has set itself the objective of promoting training in LEAN KATA in order to contribute to the transformation of companies, positioning itself as the national reference among the practitioners of the TOYOTA KATA methodology. With the training modules included in the ESCUELA LEAN KATA program, students will be able to practice the principles and tools of Lean in an effective and entertaining way. The first experience of the ESCUELA LEAN KATA, which was born with a national vocation and international ambition, starts in Castilla y León (Spain), in collaboration with a reference partner: the Business School of the Chamber of Commerce and Industry of Valladolid. All the training modules use the LKT (Lean Kata Trainer) platform for their development, which allows learning from practice with digital gamification in the classroom. The LKT platform provides teachers with a methodological approach (‘mindset’ and Lean Tools) for students to learn and practice new improvement habits (KATA) that allows them to face their challenges from a triple perspective (processes, people and leadership), through the practice of scientific thinking. The LKT platform allows to experience both, Kata Improvement (KM) and Coaching Kata (CK), which accelerates learning and the creation of new routines in the people of an organization. 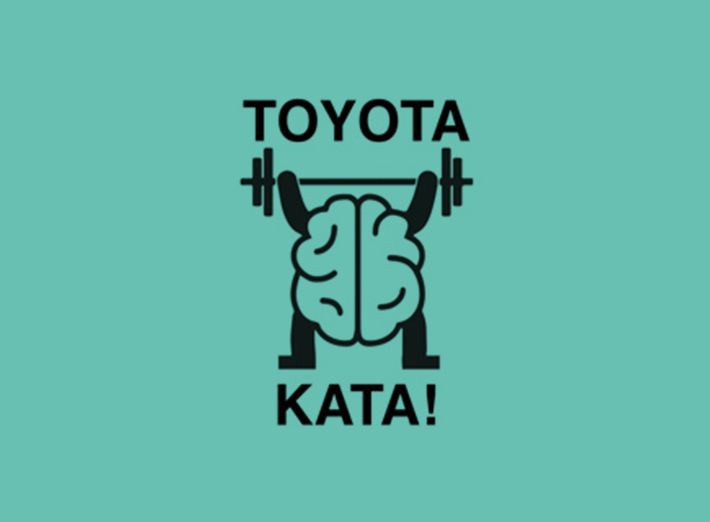 The TOYOTA KATA methodology requires students to learn the techniques of Coaching to learn how to coach other people in the Organization to improve processes and achieve their goals in the long term. The LKT platform allows learning through real practice. Theoretical training is only knowledge, but it is forgotten if it is not practiced. That is why the ESCUELA LEAN KATA focuses on real practice with the aim of generating new habits and routines in people, so that the application of scientific thinking is part of their daily tasks. Formative itinerary in LEAN KATA. Experimentation with the Gamification Tool “Lean Kata Trainer”. Any other Organization Command (production managers, change agents, quality managers, etc.) who wish to continue their training in some of the other modules of the LEAN KATA School (except Module 3). Genba Kanri animation from a LEAN KATA view. LKT Gamification. The basic tools of the Toyota Production System: 5S, Standardization of Operations, Field Observation. From the definition of the CHALLENGE to the appropriation of the routines (KATA’s) for the animation of the Genba Kanri. Application of the principles/tools to improve work stations using the “Lean Kata Trainer” gamification tool. Executives, managers, LEAN experts, agents of change, etc. whose responsibility is to lead teams in work environments in which it is intended to lay the foundations for the improvement of jobs (safety, quality, productivity…). In order to be able to do this module-2 it is necessary to have done module-1. No previous knowledge of the Toyota Production System is required. Analysis of Data from a LEAN KATA vision. LKT Gamification. Data analysis as a key competence of these problem solving. methods: graphical and statistical analysis (functions and graphs in Excel). Capacity Studies (Cp and Cpk). Managers, managers, experts, change agents… who have to lead or participate in problem-solving and process improvement dynamics. Although it is not necessary to have completed modules 1 and 2, it recommendable. Attend laptop training with Excel installed. Minimum knowledge of Excel (no specific and/or complex programs will be used during the training: SPSS, Minitab…). TOP-Q (the TPS quality animation tool, known as QRQC in the Toyota language). From the definition of the CHALLENGE for the improvement of the results of the Industrial System to the appropriation of the routines (KATA’s) for the animation of the daily life. Application of quality improvement principles/tools using the “Lean Kata Trainer” gamification tool. Executives, managers, Lean experts, change agents, etc. who have to lead teams to solve problems. In order to be able to make this module-4 it is necessary to have done the module-1. It is recommended to have done, in addition, modules 2 and 3. Analysis of losses. The OEE (Overall Equipment Effectiveness) indicator. Preventive Maintenance Plan: Media Standardization. From the definition of the RETO for the reduction of losses (non-OEE) to the appropriation of the routines (KATA’s) for the improvement of the availability. Application of the principles/tools to improve the means of production using the “Lean Kata Trainer” scoring tool. Executives, managers, LEAN experts, change agents, etc. whose responsibility is to lead projects to improve availability (improvement of the OEE). In order to be able to make this module-5 it is necessary to have done the module-1.